Home/Knowledge Base/Setting Up Your Form/Authorize.net error codes: How to prevent them on your order form? Authorize.net error codes: How to prevent them on your order form? Once you have enabled the Authorize.net payment gateway for your form, some errors might occur while your clients submit your online order form. This is caused by some of the settings you have set up in your Authorize.net account. But rest assured, this is a guide on how to fix these issues. 1. 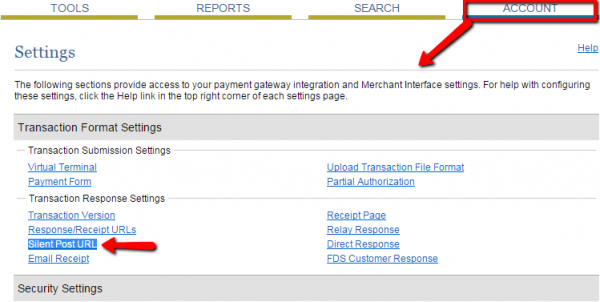 The referrer, relay response or receipt link URL is invalid. This error usually occurs when you have set up some URLs in your Authorize.net account, in the Account → Response/Receipt URLs section. You’ll need to delete all URLs located there and see if the error persists. If the error still appears, it means you have one or more Silent Post URLs that you need to delete as well. In your Authorize.net account, go to Account → Transaction Format Settings. Under Transaction Response Settings, click on Silent Post URL to remove the link. Next, return to the Account → Response/Receipt URLs section and delete the Silent Post URL(s) that appears there. In Account → Settings, go to Transaction Submission Settings and click on Payment Form. From there, go to Form Fields and disable the required status of the field that caused the error. Don’t forget to save your changes and see if the error happens again on your order form. 3. Error 312: The specified Security Code was invalid. This is caused by the Security Code that couldn’t pass to your CaptainForm account when the order form was submitted. To prevent this from happening again, you’ll need to disable it in your Authorize.net account. The security code is an image Captcha from Authorize.net that can interfere with the integration, which is the reason why it needs to be disabled. 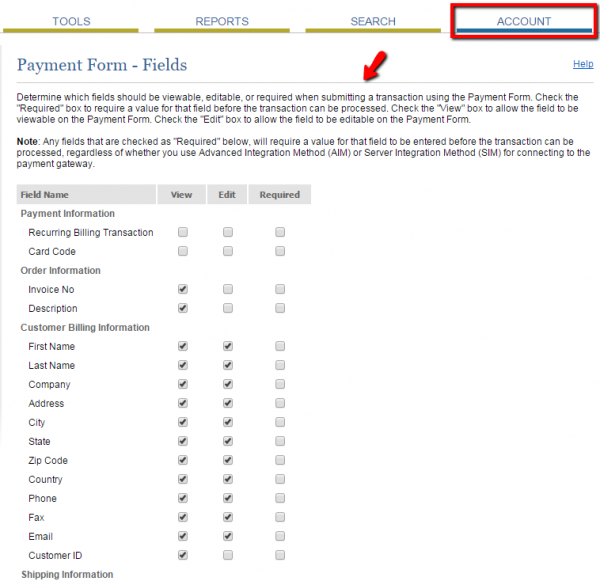 In Account → Settings, go to Transaction Submission Settings → Payment Form and click on Form Fields. 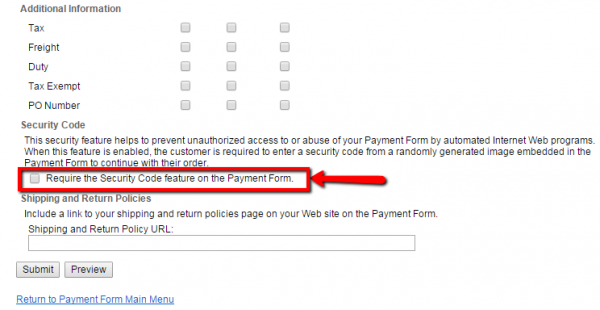 Scroll down to the bottom and disable the option Require the Security Code feature on the Payment Form. How to add my Google calendar to a web form? How to receive notifications through your own SMTP server? Can I retrieve an address and coordinates from Google maps?